This lecture is a continuation of the previous lecture. for register ra and then followed by an 8-bit constant c2. with the constant c2 after sign-extension to determine the jump address. have similar tables are `shiftl' and `asr'. original data to the left-most position. Other instructions are mov, call and ret. Note that these instructions were not available with the SRC processor. register C. In step T4 the contents of C are taken to the destination register ra. there would be interconnection with the input and output addresses up to 0..255. C to the destination register ra. This instruction is opposite to the `in' instruction. new execution has to begin. the ALSU and so control unit provides the increment signal `INC2' to increment the PC. 2nd input of ALSU incremented by 2 and so the data is available in buffer register C.
output. Now note that `INC2' is one of the ALSU functions and also it is a control signal. 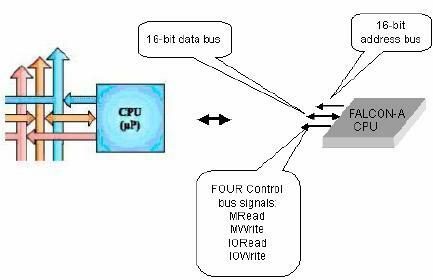 So, at step T0 the control signal `PCout' is activated to provide data to the internal bus. `MARout'. 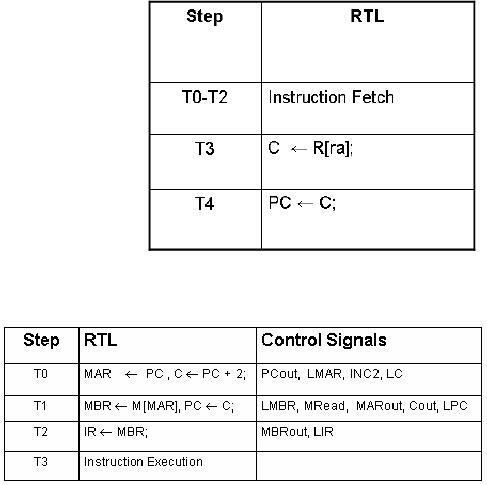 Another control signal is required in step T1 to enable memory read i.e. instruction length is 4 bytes. 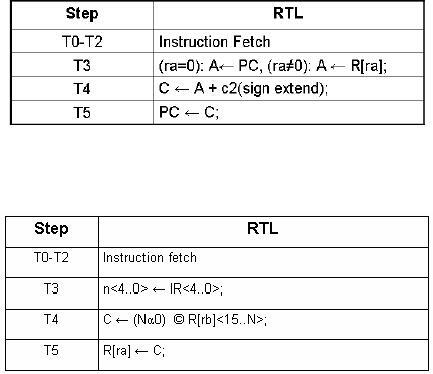 phase of each instruction but fetch cycle will be the same for all instructions. fixed time interval, which in this particular example is T2. on which different control signals like MRead, MWrite, IORead, IOWrite are present. aligned, i.e. memory addresses start at address divisible by 2. 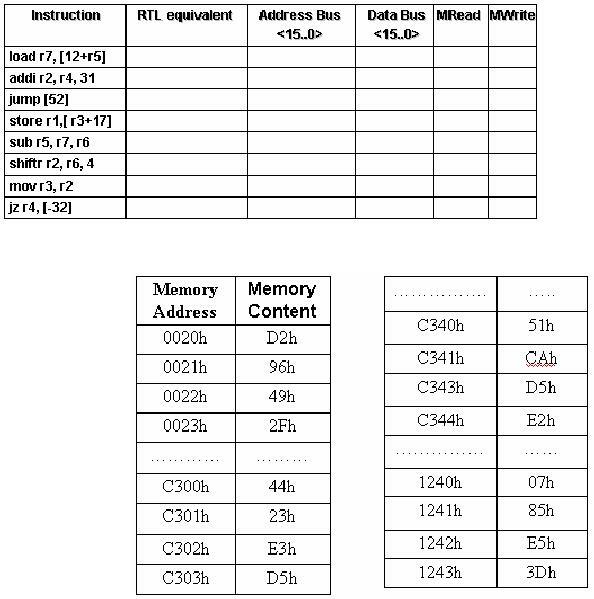 The next table shows the register map showing the contents of all the CPU registers. Another important thing to note is that memory storage is big-endian. 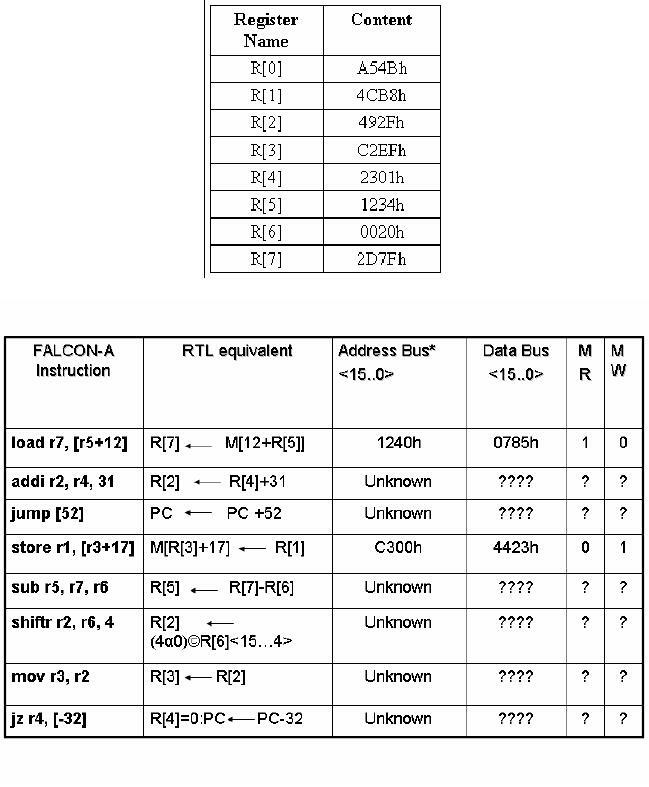 register map shown in the previous table we can see that the contents of r5 are 1234h. complete the table for other instructions. 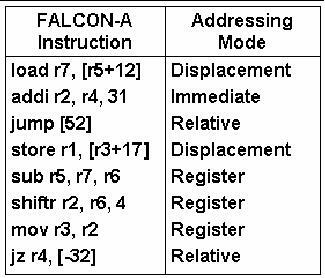 This table lists the addressing mode for each instruction given in the previous example.